Tomorrow is the last day of 2012. Being the end of the year and all, it is customary to look back and reflect on the past 12 months. I always like to define one specific thing about a year that defined a change in my (and my family's) lifestyle. 2012 will henceforth be known as the year we went veg. We became veganish vegetarians in March, we haven't looked back and it's changed me in ways I wouldn't have imagined it would have. Call me crazy, but I feel I have a totally different bond/viewpoint on life in general now that I don't rely on the demise of another living creature's life to satisfy my hunger. Veganish... perhaps I should define this? Since we also found out this year (in February) that Riley has a milk allergy, the majority of our family meals are vegan. I spent the time going through my iPhoto this morning. It took me hours, but I completed my task of creating a collage/picking a photo to define each month this year. 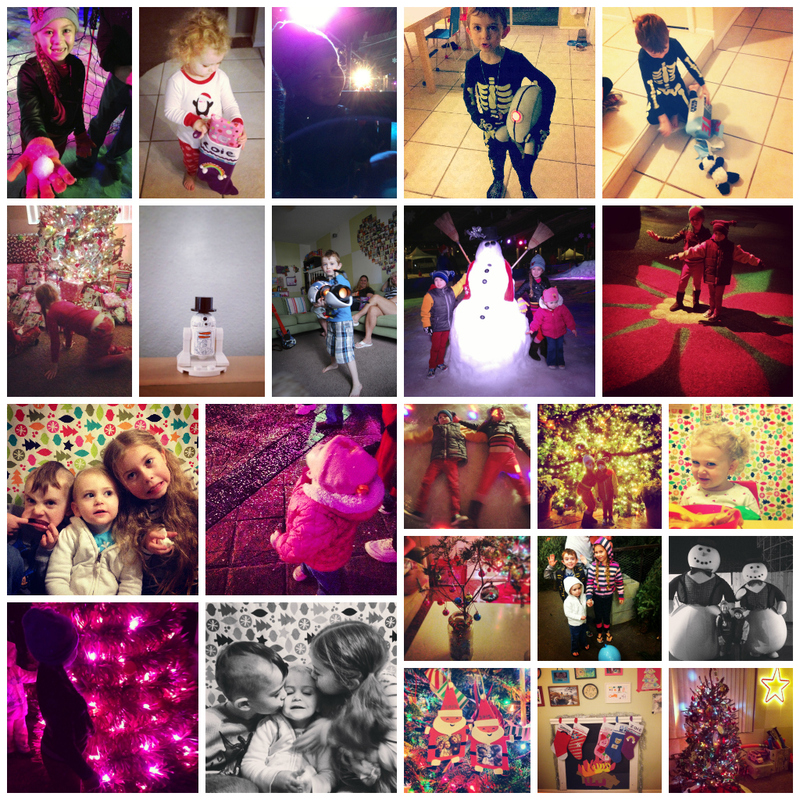 Initially, I thought I could just pick one photo per month, but there were so many cute, awesome, exciting moments this year. Picking just one per month is impossible. January 2012: Roxy celebrated her 6th birthday. She had a Princess Leia/Star Wars birthday party in the park. I remember a bunch of sickies around here and that pretty much summed up our month. 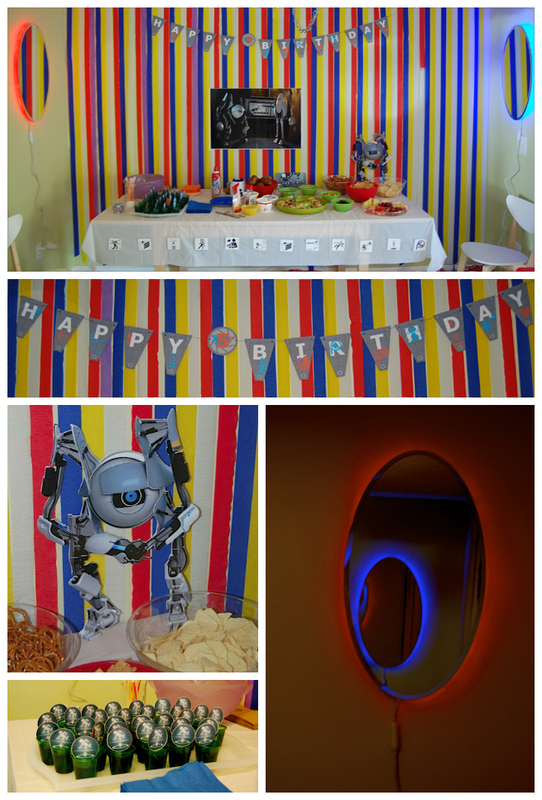 Speaking of which, I guess I'd better start planning a 7th birthday party, huh? 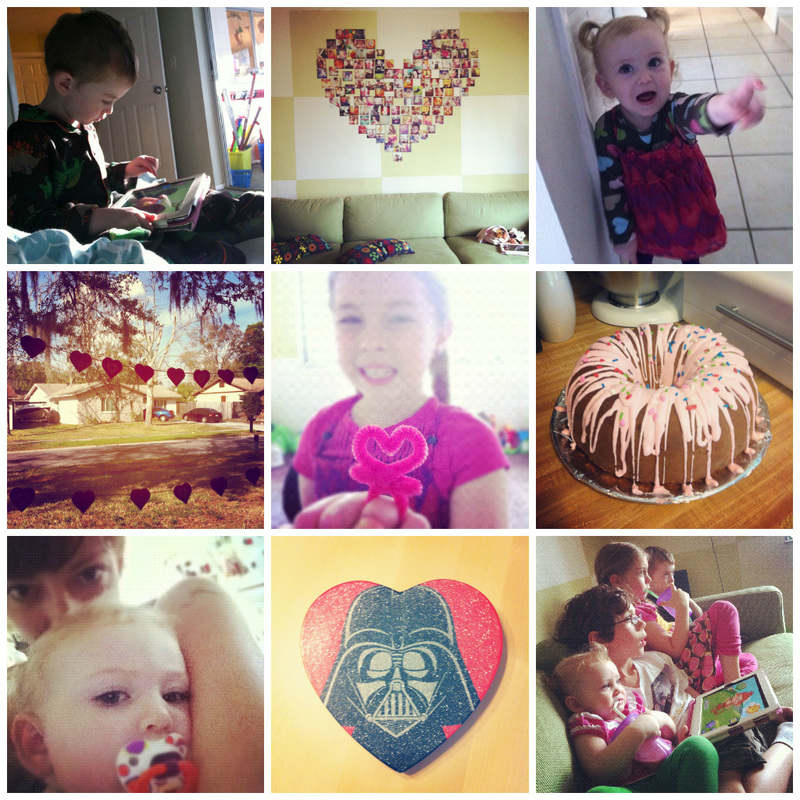 February 2012: I always love February. It gives me a reason to decorate everything with hearts. A couple of my 'Valentine's' decorations actually became permanent fixtures around here. The things that stand out to me the most about February are (1) we learned Riley had a milk allergy (2) Lilly's birthday party, which to me, was such a beautiful and loving night, and (3) my cousin Paulie dying in a tragic car accident on Super Bowl Sunday. March 2012: March is the month we became vegetarian. It was mainly Roxy's decision, but everyone was on board to support her, no questions asked. 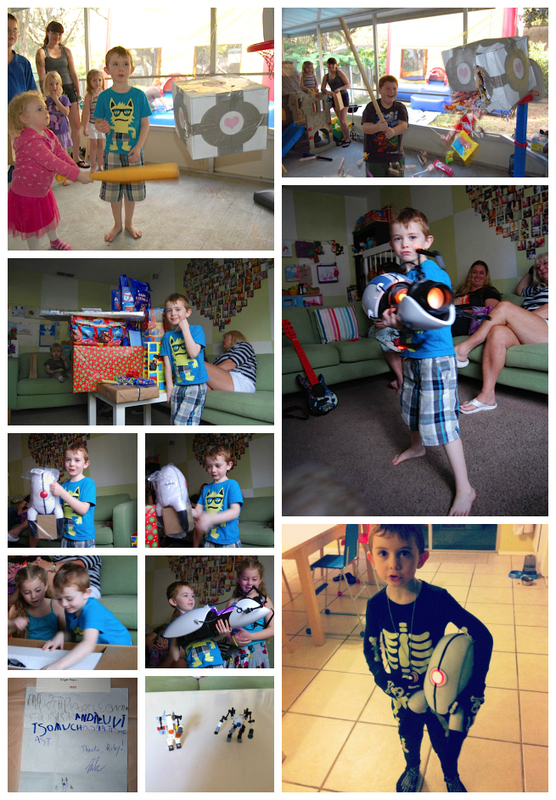 We were lucky enough to stay a few days in Kissimmee with good friends and had an awesome Spring Break. Immediately following our Spring Break, my Mom, Dad and Lala came to visit us from up north. It was a busy, eventful month. April 2012: April seemed to be a month of working out the kinks in our whole change of eating. Looking back, it seemed we were homebodies and was a pretty chill month. Oh yea, April was also the month we welcomed Leia (the mouse) into our family!! 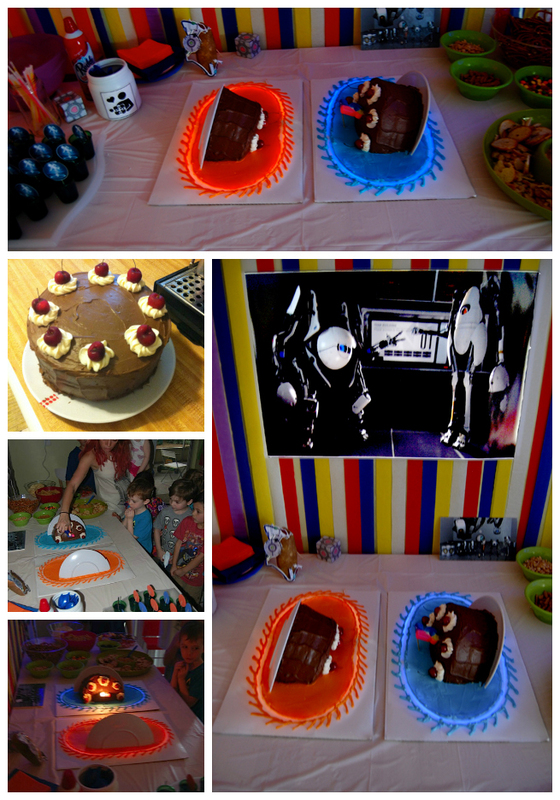 May 2012: In May, we had our third Star Wars party. This time, it was for Cameron who turned double digits (the big 1-0) and we held it at a bowling alley! Hey, we had to switch it up somehow! I also did a 31 day blog challenge, which was kind of amazing for me. I celebrated my 7th wedding anniversary and I longed for the end of the school year. 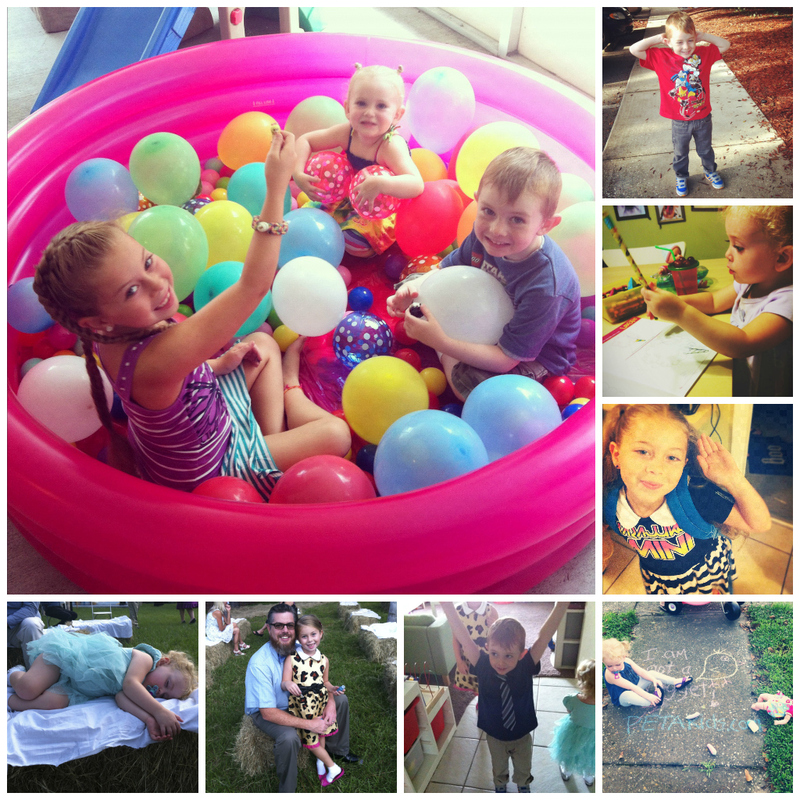 June 2012: We were free from the confines of school schedules!! We swam a lot. Played a lot and it was just awesome. July 2012: Was the month I began to get itchy for an adventure. I thought about it. I planned. Then I ditched my plans, deciding I couldn't handle it on my own. Then I got a last minute bout of braveness and just went for it. It was the month we started our Summer Adventure. It was such an adventure for me and the kids. I learned SO MUCH about me, and the kids seemed to just absorb everything in like sponges. 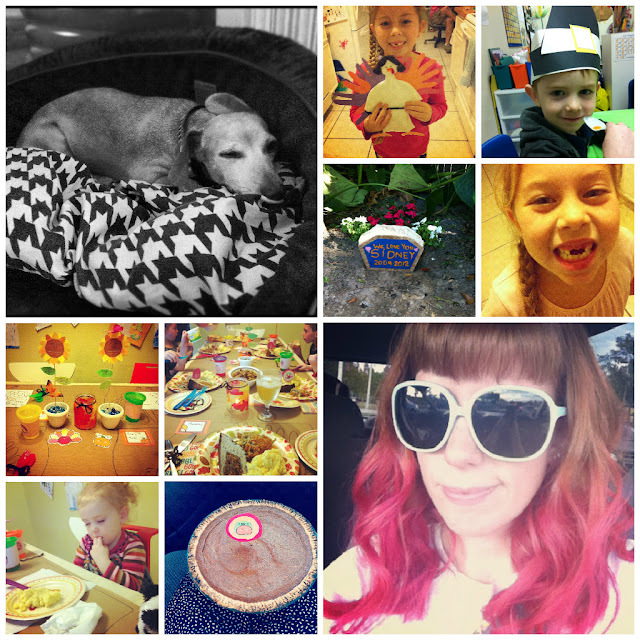 September 2012: Our ZoBo turned TWO! I potty trained my last child in diapers, and my dear friend Sam had the most beautiful backyard wedding I could have ever imagined. October 2012: The Deneweth family favorite holiday is Halloween, so this month was monopolized with Halloween crafts, costumes and activities. 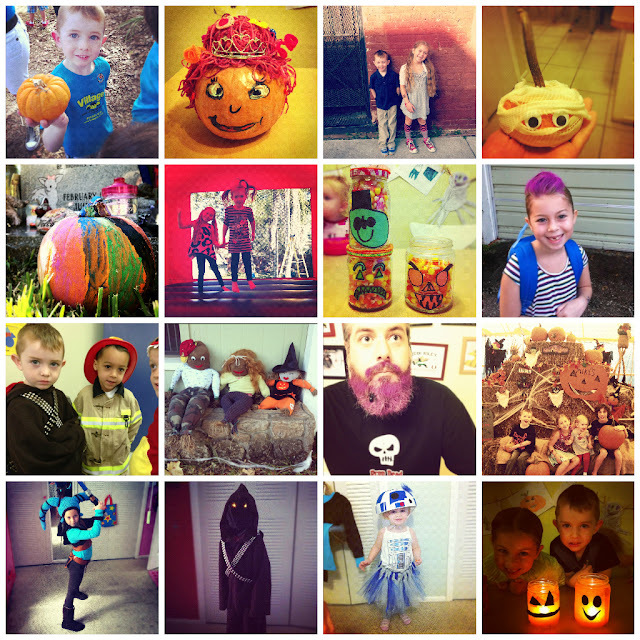 For a slideshow of our Halloween awesomeness, click here. My Christopher turned 35, and I got to attend my cousin in Orlando's wedding. The wedding was awesome for a couple of reasons: (1) I haven't seen my cousin in FOREVER and it was amazing to see him share his love in front of all his friends and family, and (2) I got to enjoy having some of my extended family (who all reside in MD) in my state! November 2012: We lost Sidney. :( We had our very first vegan Thanksgiving. And I turned 29. Again. December 2012: Riley turned 5!! We had an awesome Christmas and the kids got to experience 'snow' at Busch Gardens. It was the closest they've ever come to the real stuff ever. Paying $100 and standing in line for two hours was so worth it. One point five days left in this year. What will you do to make it count? What will I do?? Hmmm. My kids are bigger wusses than I am when it comes to the cold. Speaking of the cold... we spent $100 and waited 2 hours in line to play in 'snow' for 15 minutes. And it was worth it. My house is in utter disarray in the aftermath of Christmas. Christmas came and went so freaking fast! I've heard some people took their tree down Christmas night!! I thought they were rushing it, but Chris has me convinced it's just the procrastinator in me. So, my confession is that I'm procrastinating taking the tree down. I haven't bought presents for my Mom, Dad, Sunshine or Lala yet. (procrastinating again!) But it's okay, I won't see them until sometime in January. I have to make breakfast now, so I'll add in some more confessions later. 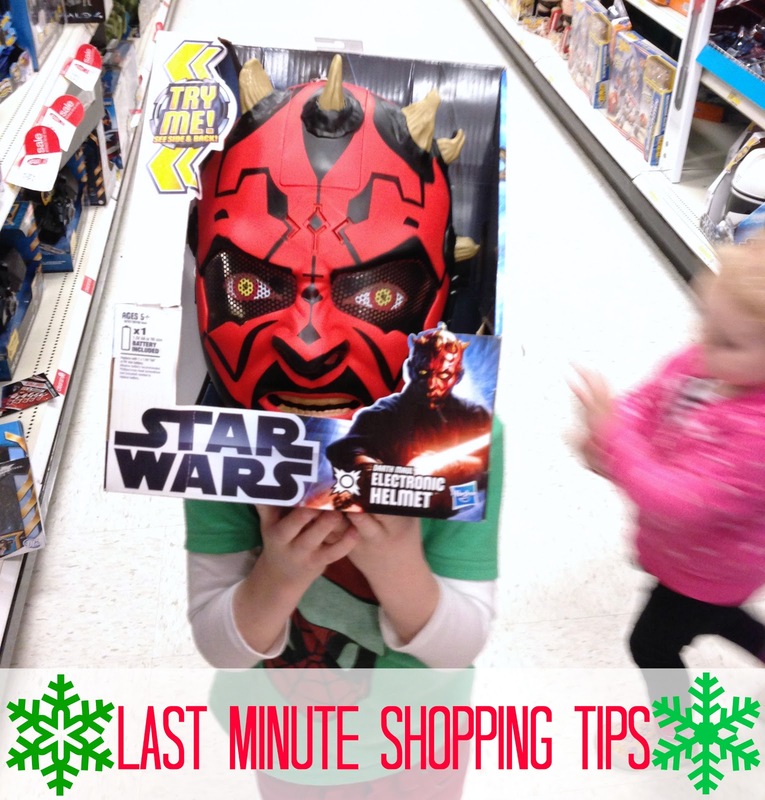 Tabi Happy's Guide to Last Minute Christmas Shopping. I am an expert at last minute Christmas shopping. In fact, it's all I know. I don't believe there has ever been a year I started shopping for Christmas more than one week prior. Christopher always says we should start earlier next year, but I don't think I could do it any other way. You get it done in a much shorter amount of time. The attitude of 'it's either this, or nothing' makes the decision of which gift to get a lot easier! Time constraint and lack of choices forces you to get creative, which is good! 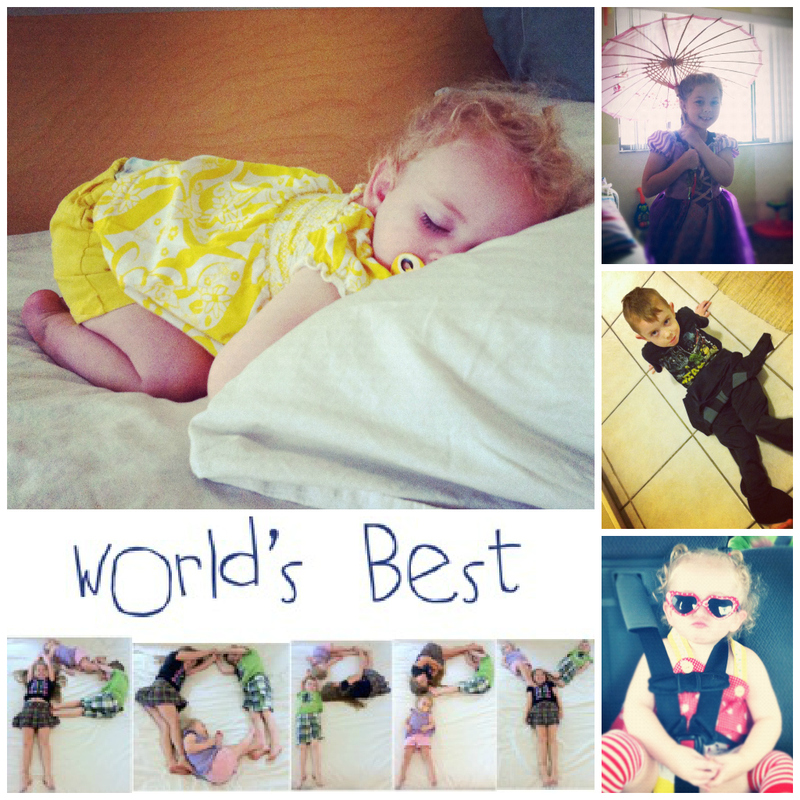 Most importantly: Have grateful children! The kind of children that are down with the whole 'you get what you get and you don't get upset' mentality. If you have kids, it's best to do this in two parts: (a) First trip, take the kids and shop for extended family members and friends. Having the kids with you works for you here, not against you. They will point out on the shelves what things they'd love to see under the tree for themselves. This will give you an idea of what's left that they will be ecstatic about. (b) Second trip, find a sitter willing to watch the kids for at least 5 hours. This will be your last shopping trip... it's go time. On that first trip, if there are items you think won't last until the second trip, we employ the two parent, second secret cart trick. Second parent will exclaim, "Oh, honey! 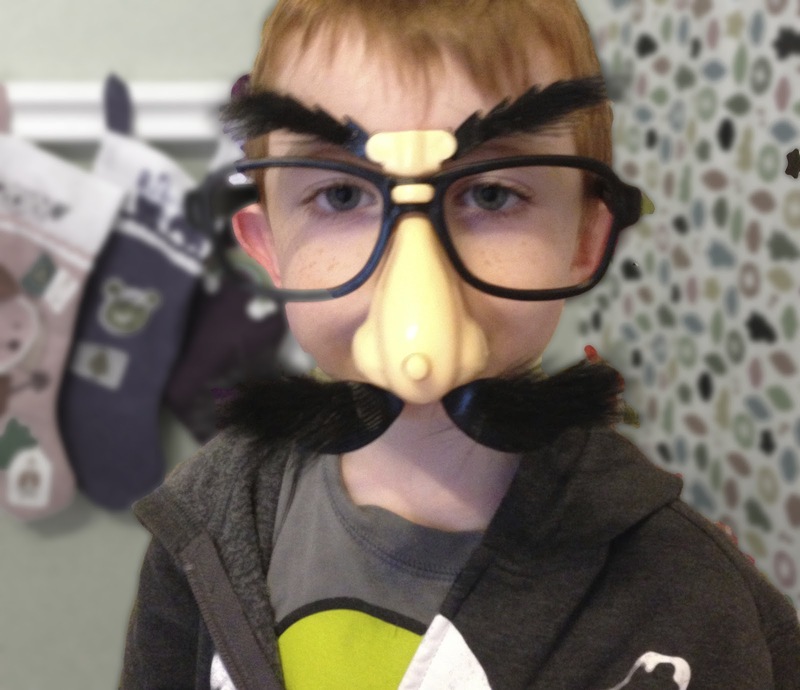 I forgot to get <insert boring, non kid related item here>." Then revert back to aisles to pick up low stock items and stash in a cart in a non-conspicuous area. Be sure to check on that cart pretty often, so other crazy last minute shoppers don't mistake it as a restocking cart. When going to check out, parent two exclaims "We should pick up a frozen pizza for dinner, I'm way too tired to cook!" While parent 1 pays and loads the kids in the car, parent two grabs frozen pizza, a bottle of Chardonnay or Bailey's, second secret cart and pays. Distracting the kids in the van with an interesting movie is very important here, so they don't really notice the extra bags Daddy is loading into the back of the van. You are already halfway done! One trip, one store! Note, this store must be of the Target variety. It could work at a mall, I suppose, but would require much more skill and take a lot longer. During this last shopping trip, remember: breathe... the universe is on your side. Allot a dollar amount per kid. This way you don't go overboard in the overabundance of toys and deals. Also, if you stick pretty close to your budget, when you get home and the 2 year old has 20 presents and the 10 year old only has 7, you'll feel okay about it because, they are overall receiving an equal amount of 'love'. Try to get at least one large (in size) present for each child. It makes for awesome presentation value Christmas morning. Stocking stuffers! Don't forget the stocking stuffers. I usually skip the 'stocking stuffer aisle' and get all these in the Target dollar section. Those stocking stuffer aisle items are crazy expensive for not so awesome things. Plus, the Target dollar section always seems to amaze me with their offerings! Also, don't forget tape, wrapping paper and batteries. Once everyone is done, drop the presents off and hide them at the house before picking the kids up from the sitter. It's okay to break the rules. I do all the time.... this year, while at store 2, I did have a last minute awesome idea, but Target was out of both the Kinect AND the Kinect Star Wars game. So, Christopher called Game Stop and it turns out, they had both the items needed, they were used/refurbished and saved us about $50!! SCORE! This would add a little extra time, but we worked it out by dropping off and hiding the loot at the house and then split up. I went to pick up the kids while Daddy went in his car to GameStop and to get Smoothies (in case the kids ask where Daddy is). Remember that imperative bottle of Chardonnay and/or Baileys you bought on Trip 1? You'll need that for your late night gift wrapping sessions. I suggest Baileys and espresso if you are going to be up till the wee hours. While wrapping up, keep in mind that beautiful paper will just be a pile of crumbles on your floor in the morning. Perfection is not necessary in this case. It might sound crazy, but this system WORKS! I've never done it any other way, but I sometimes think starting shopping any earlier sounds exhausting. Do you have any last minute tips? I'd love to hear your tricks! It's Friday!! 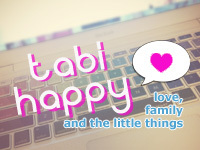 & that means I make a list for you of 5 things that make me happy (for the moment). We have TWO WEEKS OFF OF SCHOOL!!! We are going to Busch Gardens Christmas Town tomorrow. Our stockings are hung by the "chimney" with care ( minus Cameron's stocking ). Roxy's snow scene. I'm not sure why Ken is in his beach gear. Our Dr. Seuss Christmas tree. Roxy and her never ending hair. My first panorama with my new phone. Christopher looks so hysterically creepy here. It makes me laugh every time I look at him! Zoie Boie putting her dishes away. Our Christmas wreath, made with love by Gramma. This will be our last Christmas in this little green house. It's bittersweet. So strange that after 7 years, it only recently feels so... homey. Eye have not started Christmas shopping yet. Eye seriously wonder why Otter Box makes their cases so ugly. Eye am trying so hard to stay away from my Facebook feed. Eye am skipping Christmas cards this year. Eye have a 2 year old still awake at almost 11 pm! Eye made the biggest mess with glitter today and it was so much fun. Generally, on Mondays for me, it's a time of non-stop things to do, people to drop off/pick up and no time to think. Today: I'm thinking. Inside my head is way too cloudy and confused right now. I need to stop and sort these things out. I don't know what else to do. Last Thursday, we began our Christmas decorating. 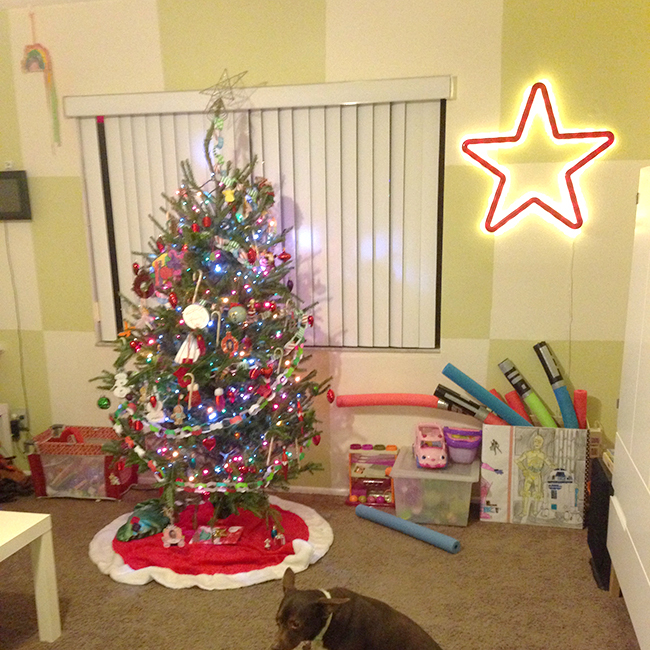 Saturday night, our tree was trimmed and most of our decorations up. On Sunday, I was overwhelmed in my to do list and didn't get half of it done. This morning, I made Christopher turn around and drop Roxy off at home. I just couldn't let her go to school this morning. Then I cried because my toaster is on the brink of death. I haven't watched the TV news at all. I've only read a couple of articles here and there and seen the many many short thoughts, prayers and sentiments come across my Facebook and Twitter feeds. Yet, I'm still feeling the overwhelming wave of emotion from the whole Connecticut tragedy. Somehow, I feel so... isolated right now. Today, I will clean. 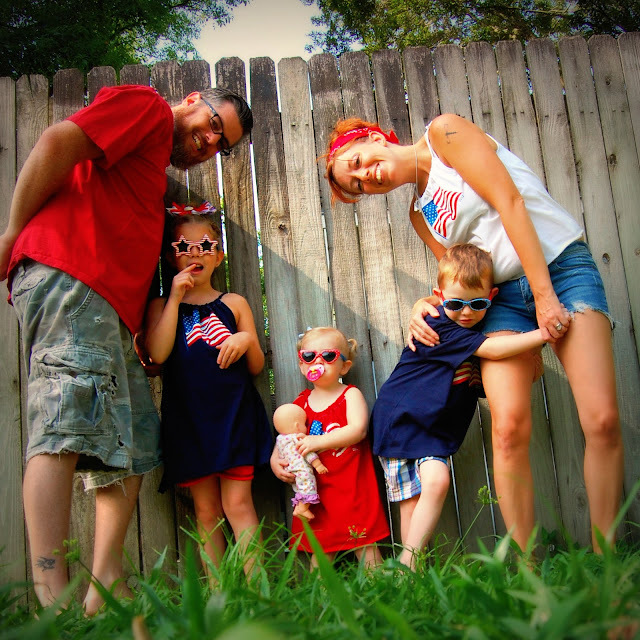 Get the kids in gear and put them to work on getting the house holiday worthy. Hopefully, that will clear up a little of the cloudiness. A clean floor is always a great first step in clear thinking for me. Maybe a little holiday craft? New stockings, perhaps? I wish I knew of a service I could give $25 to and they would in turn organize all of the LEGOs in my house. I've had boxes sitting unopened in a pile for 5 days now and the thought of doing it myself is overwhelming. My mantra this week: Love. Love. Love. Mini Vegan Chocolate Chip Cupcakes. I was lucky enough to sample one of the leftovers and wish I had a dozen more! They were THAT good. nom nom. Well, I wanted to bring in a special treat that day for his whole class to enjoy at his preschool. The preschool requires food to be store bought, so it presented a teeny cupcake problem to me. Dairy Free cupcakes aren't readily available at our local Publix, so I almost settled on bringing in a box of Oreos, when I came across an article on our local news site spotlighting a new start up: Guiltless Cupcakes. If you read the article, scroll down, she's below the Snarly Dog. ;) She's in Brandon AND she delivers!! 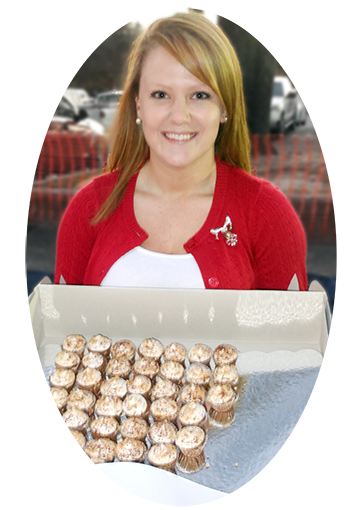 So, I contacted her for 2 dozen mini chocolate chip cupcakes, giving her only 1 day notice and she was super pleasant, very reasonable and absolutely willing to help me out with my short notice order. Sometimes, as in this case, it's necessary to purchase specialty items and usually it's not so convenient. So I really wanted to share this amazing resource with you. I've always wanted my own bakery. I went to Johnson and Wales in Miami for baking and pastries, but moved home shortly after. I didn't like it as much as I thought I would. I remember one day though, I was sitting in one of my classes and the professor was telling us, "Everyone that wants to be 'The Next Big Thing' comes to JWU. And everyone wants to own their own restaurant or bakery." I remember him going around the room asking us "What sets your bakery or restaurant apart from everyone else?" Just like everyone else answered, I said I had no idea. When I moved home, I continued with school at HCC but gave up my dream of owning a bakery. I had no idea what I was going to major in. I still baked here and there, but I left the desire in Miami. All of that was about to change. I had gone to my doctor a few weeks earlier for her to draw blood. She just wanted records of my cholesterol, blood sugar, etc. I remember not being nervous because I watched what I ate and I considered myself somewhat healthy. I had gone back the following week to get the results and what I had heard was devastating. Everything was through the roof. All of my numbers were out of the normal range and pointing closer to pancreatitis or diabetes. I was shocked. I remember thinking how could I be this unhealthy? I was in shape. I watched what I ate. Nothing made sense. My doctor didn't want to put me on any medication because I was young and she wanted to see if I could get this under control first. She handed me a packet of what I should avoid. "No read meat, no dairy, limit intake of eggs, no white flour, no white sugar." I remember crying on the way home because I was so stunned at the news. My mom came to the rescue though. She called a family friend who is a nutritionist and he came right over to inform me on what I could eat. Long story short, that was the day I started to eat vegan and it was the best decision of my life. I just quit everything cold turkey because I had 3 months to get this under control. That's what sparked my business venture. I loved sweets. I could stop eating it for 3 months, but for the rest of my life? Absolutely not! I knew there had to be other people that were either in the same boat as me or had other issues. 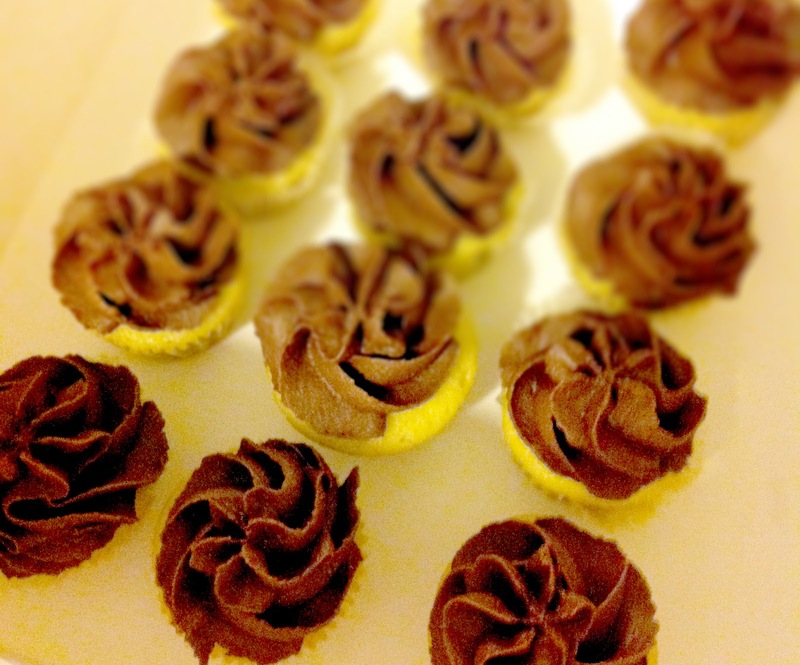 So I got to thinking and came up with Guiltless Cupcakes. At first they were just vegan. But as time went on, I started noticing my stomach would hurt after every time I ate. So I went back to the doctor, and come to find out that I might have celiac disease which is an allergy to gluten. 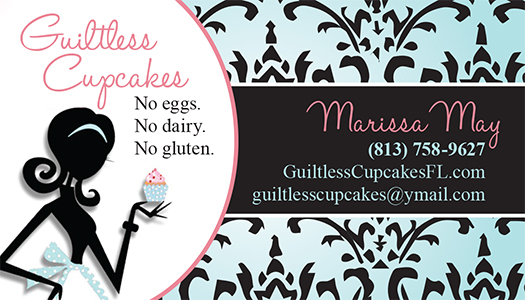 So now Guiltless Cupcakes are dairy free, egg free, and gluten free. I guess you could say whatever health issues I go through, my cupcakes get a new make over. I use all soy based products like soy butter, soy yogurt and almond milk. I get most of my flavor inspiration from Pinterest and experiment with them to make the cupcakes taste good and vegan. Well, I no longer have kids spaced 2 years evenly apart any more. There is no order, it's all chaos. 2, 5 and 6, pssht. 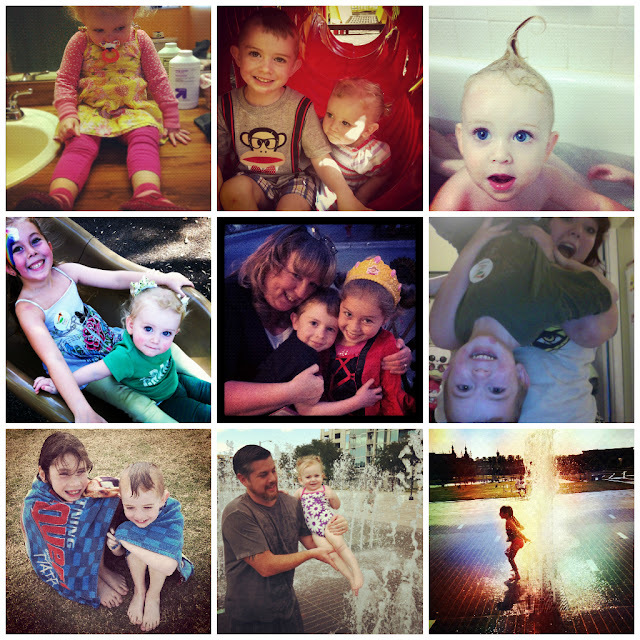 Today, on 12/12/12 my middle child, turned 5 years old. 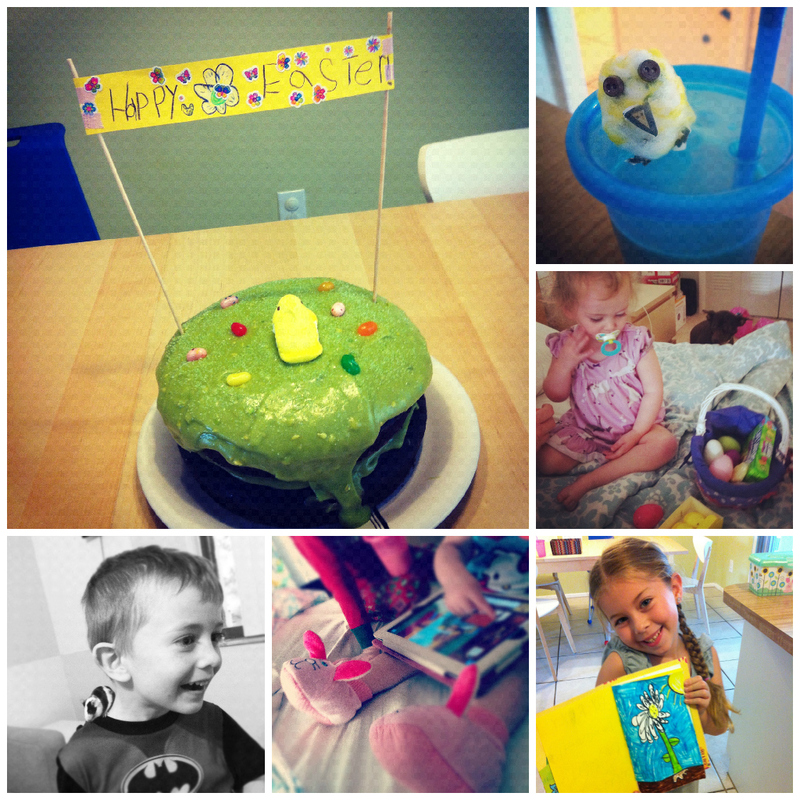 We had a fun little weekday with lots of goodies and blue icing. We ended our day with big bellies and passed out children strewn about the house. He is a Smarty McSmarterson. He was only 2 years old when we realized that he knew all of his letters. Sometimes I'd catch him helping his big sister out when she got stumped. His bedtime cuddles: Jack Skellington and now, his 'cuddly laser' aka his Plush Turret he got for his birthday. When I first laid eyes on him, my first thought was, 'Wow! Where did you get such bushy eyebrows?!?' and then, 'How did I give birth to a red head?' He has always been such a surprise to me: being a boy (I somehow never pictured myself having a son, but I am sure happy I do), his in womb kung-fu kicks surprised the breath right out of me, his red hair, his mild manner, his incredible intellect, his milk allergy, his empathy, his creativity, his intense ability to be and stay in his own little world without waiver in spite of my pleas to come back to reality. He's a perfectionist. These drawings, if he makes one little mistake, they get thrown away and he starts all over. His bed has to be flat and wrinkle free or else. The biggest sweetheart ever! He told me today he wished Santa granted wishes instead of brought toys to boys and girls. What would he wish for? He would wish that no one got sick ever. LOVES Portal. ATLAS is obviously his favorite character ever. Every day he maps out his ideas for Portal 3 levels and characters. Likes to draw cute things to make me happy. See his cute bunny? 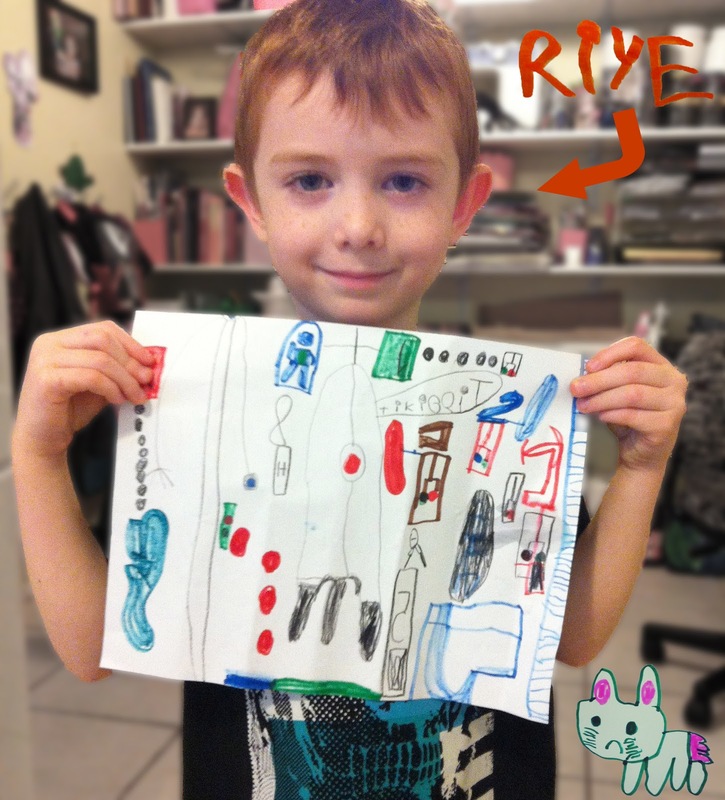 Was born Riley, but wants to be called 'Riye' ( his choice of spelling, pronounced RYE ). This week I can't think about Christmas being 20 days away. I have a party in 2.5 days to prepare for. The Portal party is beginning to become real to me, despite being 2.5 days away, I'm just starting to grasp the reality that it is coming! The bounce house has been reserved. My lists have been made. The banner is ready to be printed and strung up. Dollar store shopping has been completed. Besides preparing this week for Portal Party, I'm dealing with the left side of my face on the verge of exploding. I can't be the only one in this world that gets ill unilaterally, right? 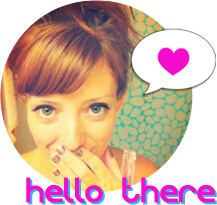 I was a sickie last week and was greeted on Monday with a stinking cold sore (ew!). That stupid little blister on the left side of my bottom lip is causing some major pains in my jaw, my ear, my eye, my sinus cavity and clouding my thinking abilities. Seriously clouding my thinking abilities. 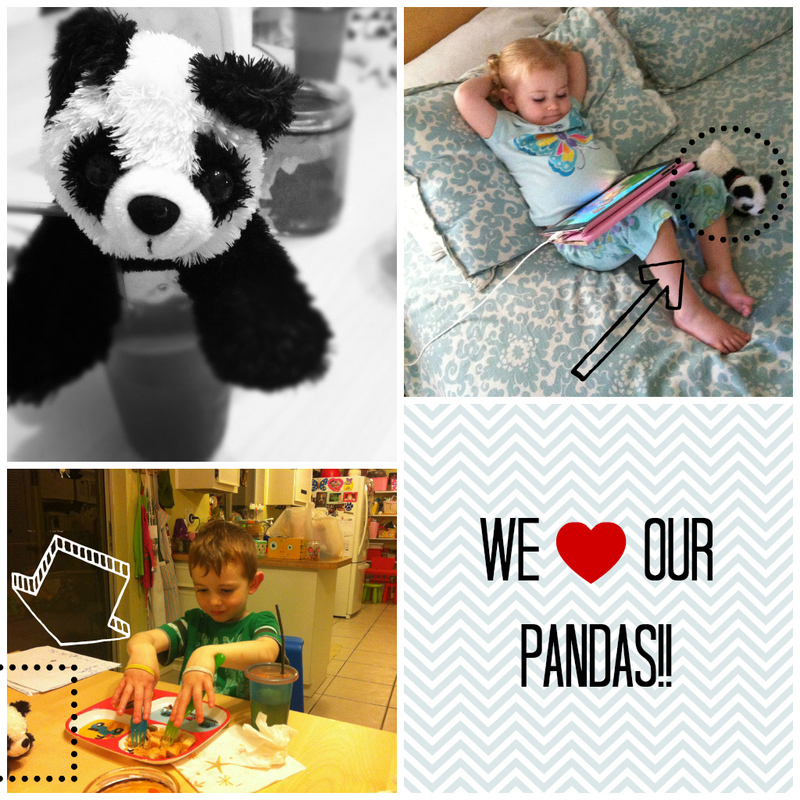 Anyways, this post is brought to you by: Panda. During the summer, on our trip to the National Zoo in DC, Roxy got a little stuffed floppy panda souvenir. The other kids got different trinkets they picked out for themselves. But, floppy panda has been, since AUGUST, the object of desire around here. Two weeks ago, I decided enough was enough and ordered two more. Which was genius! except for my two year old is being a two year old sometimes and must have the panda that belongs to Roxy or Riley and not the one that belongs to her. Despite the fact that they ALL ARE EXACTLY THE SAME! The panda babies are always around these days. I'm challenging myself to take a photo with Panda at least once a day & post it to Instagram if/until this phase is over. 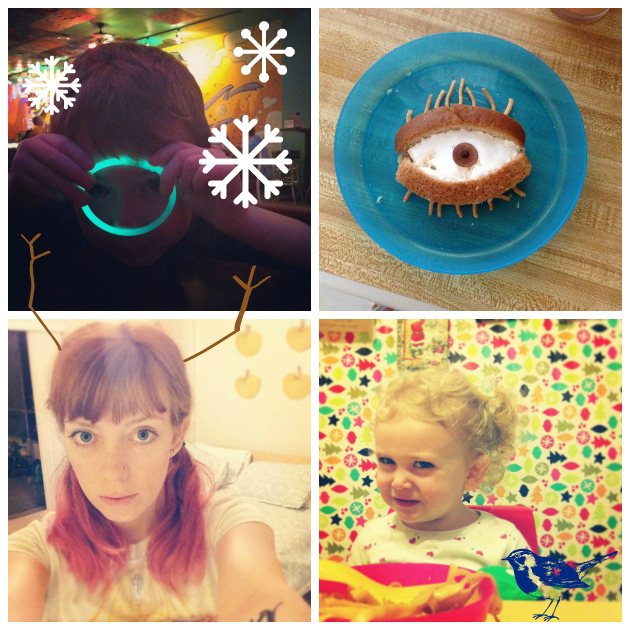 Hopefully my little self challenge will pull me out of my monthly photo rut. Friday was my birthday, so of course there was cake. Saturday was a pottery party for one of Roxy's classmates - cake for her (Roxy - the rest of us skipped on it). 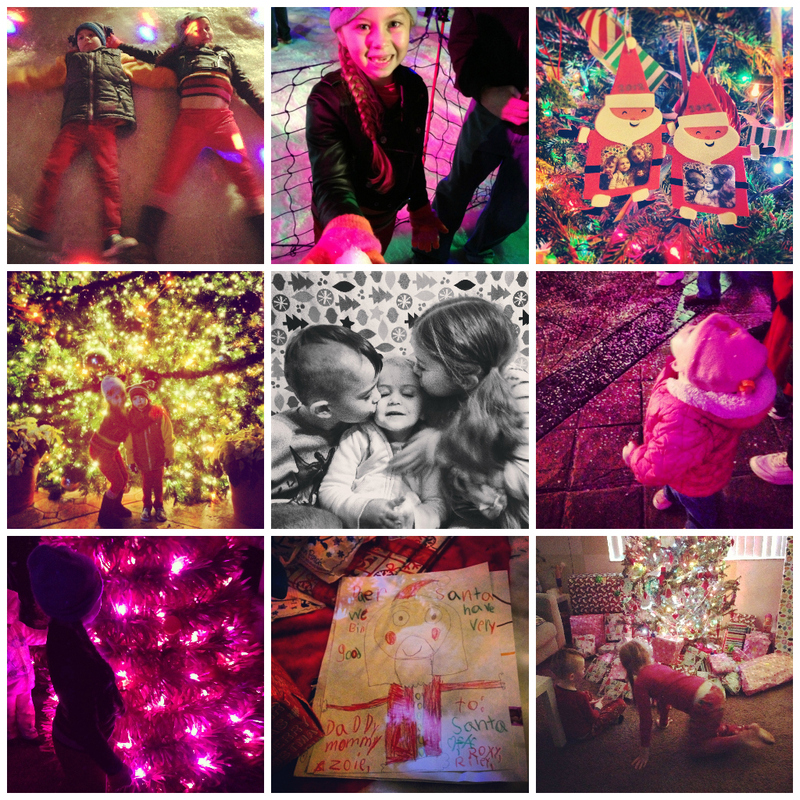 After pottery party, we checked out our little local Winterfest. There we got to pet some cute animals, went on a "hayride" (... around a parking lot), the kids bounced, I got my free Starbucks birthday coffee ( and freaked out because I was almost Facebook hacked ), then home with 3 cranky kids. Sunday brought us to birthday party #3 at Chuck E. Cheese's (more cake). 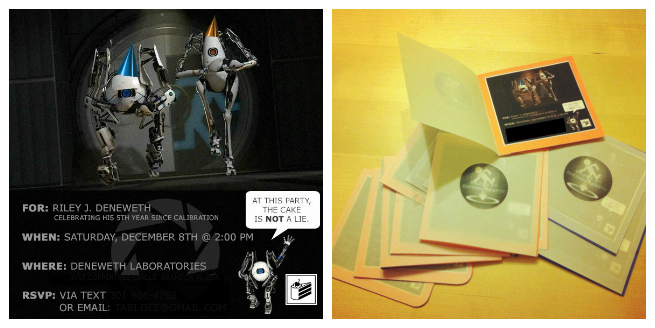 Me + 3 kids at Chuck E. Cheese's on a Sunday was enough for me to declare mental breakdown, but somehow I made it through to make an actual dinner, shower 3 children then make some of the cutest Portal Birthday invitations EVER. Today, I'm determined to break back into my workout routine. Hopefully it will work to get the remaining nasty amoebas out of my body and get me into gear to create an awesome Portal party for the Bear in 5 days. Happy Birthday to me! 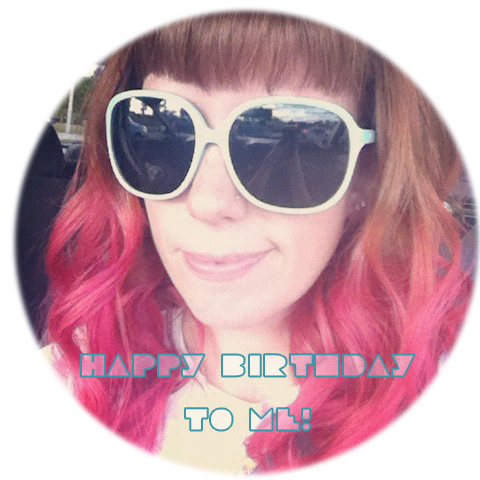 Here are Five Things that make me happy: Birthday Edition. This song! I hope you get it stuck in your head and it makes you cheery all day long. My special morning gingerbread latte Christopher crafted in my kitchen. We ate out at Kobe Japanese Steakhouse for my birthday dinner! We don't eat out much, so this is definitely a treat! It was my vegetarian trip & I don't know why I just didn't get double veggies all the time. OMG they stir fry up some delectable veggies. Oh, and I love sake! p.s. Now that it's December and my birthday's over, let's focus on Christmas. Oh, and Riley's birthday! !